Get best stories straight into your inbox ! Nir Eyal writes, consults and teaches about the intersection of psychology, technology and business. The M.I.T. Technology Review dubbed Nir as “The Prophet of Habit-Forming Technology”. 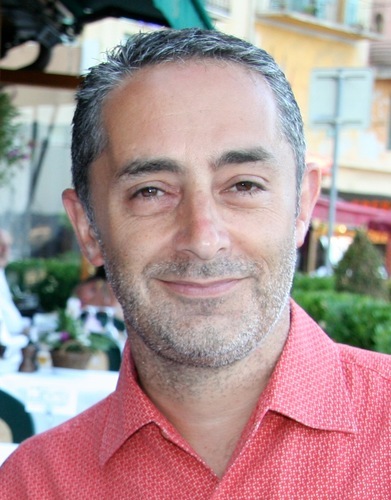 Nir has founded two tech companies since 2003 and taught at the Stanford Graduate School of Business and the Hasso Plattner Institute of Design at Stanford. He is the author of the bestselling book, Hooked: How to Build Habit-Forming Products, which won the ‘Marketing Book of the Year’ award from 800 CEO Read. In addition to blogging at NirAndFar.com, Nir’s writing frequently appears in TechCrunch, Inc, The Harvard Business Review and Psychology Today. 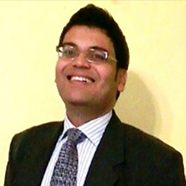 Vikas is currently working as Director – Valuations with KPMG India. He has around 15 years of experience in Corporate advisory and valuations across diverse industries.His stints include strategic advisory at Ernst & Young India Private Limited, Corporate & Strategic Advisory at the Murugappa Group. 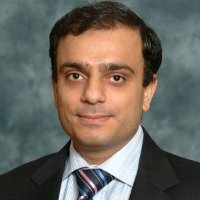 Vikas has extensive experience in valuations of businesses, equity and brands and has advised a wide range of clients on merger swap ratios, joint venture situations, valuation advice to boards for divestitures or acquisitions, valuations for group consolidations, regulatory valuations, valuations for business restructuring, portfolio valuations and intangibles valuation. He is an alumuns of ICAI. Rahul Chowdhri is an experienced venture capitalist. He is a partner at Stellaris Venture Partners. Before that, he was a Partner at Helion. He had been part of Helion investment team since 2007. His focus areas included ecommerce, edu-tech and consumer sectors. He was closely involved with investments in Bigbasket, Simplilearn, Livspace, Shopclues, Mysmartprice, Toppr at Helion. Prior to Helion, Rahul has had 9 years of experience working for companies like Microsoft, marketRx, i2 technologies and BCG. He holds an MBA degree from IIM, Calcutta and B. Tech. from IIT, Kanpur. Santosh is a part of national management of India office. He is responsible for overseeing key engagements, relationships and strategic initiatives for the Indian operations. Santosh has more than 15 years of experience in valuation and financial advisory services. In the last 15 years, Santosh has managed and has provided a range of financial advisory services including Due Diligence, Valuation, IFRS & USGAAP assignments, Business Plan Review, M&A, Internal Audit, Accounting Assistance and Risk Advisory services. 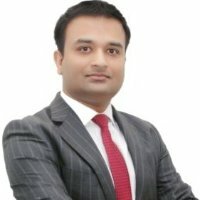 Santosh has managed and executed a range of financial advisory engagements for Agri industry, Automobile, Consumer Durables, e-Commerce, Hospitality & leisure, Infrastructure, IT & ITeS, Logistics, Manufacturing, Media, Natural Resources, Petro-chemicals, Pharma & Healthcare, Power, Refineries, Real estate, Telecom & Textiles. He has provided financial advisory to clients for purposes such as financing, project finance, mergers & acquisitions, negotiations, settlement of disputes, strategic assessment, accounting and tax reporting etc. He was heading the Financial Instrument Valuation practice in American Appraisal India earlier and used to chair the Complex Financial Instruments Valuation committee in AA, a global initiative taken by the firm to grow this particular service line. He was South India Valuation leader in Deloitte and was part of the founding team in Grant Thornton Bangalore. He has been a speaker at several seminars/ workshops, including those organized by the Institute of Chartered Accountants of India (ICAI). Was an International Key Note speaker in a conference on Business Valuation organized by RICS in London. Santosh’s prior work experience includes stints with Grant Thornton and Deloitte. Ishan began his career in big data analytics in Chicago and moved to Wall Street to work in sales and trading for Deutsche Bank. Ishan is currently COO at CoreOne Technologies, a Markit company where he has gained extensive experience as an agent of change in successfully transforming and exiting global businesses. He was part of the core team that successfully sold CoreOne on behalf of Symphony Technology Group, a strategic PE fund. He has expertise in driving successful business turnarounds by implementing comprehensive financial management and operational structures that are aligned with organizational goals. Ishan is passionate about the Indian entrepreneurial eco-system and he is mentor and board advisor to several start-up firms as well as an active angel investor. Ishan holds MBA degrees from Columbia Business School and London Business School. 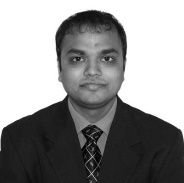 Kapil is a director in the Valuation Services group of Deloitte based in the Bangalore office. 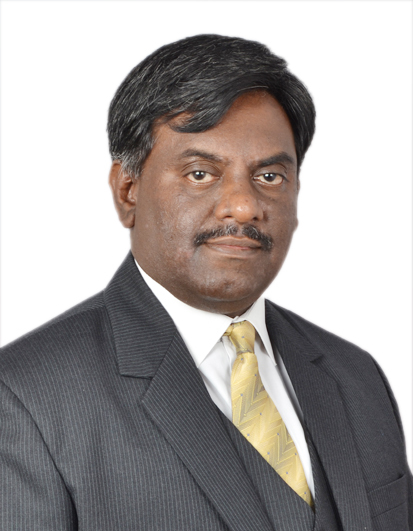 In his current capacity, Kapil is responsible for the overall management of the South India valuation practice. Kapil has over 10 years of experience in corporate restructurings, business modelling, business intelligence and transaction support through valuation analysis. Kapil also has significant experience in financial modelling, business plan creation and development, strategy development and commercial due diligence. In addition, he has extensive experience in executing business enterprise valuations, high-court merger valuations and purchase price allocation exercises for various regulatory purposes including IFRS, SFAS, IGAAP and Income Tax. 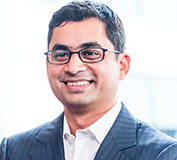 As part of his career, Kapil drove several pioneering valuation thought leaderships including Brand Valuations in the Indian Premier League and Celebrity Brand Valuations, both of which received significant media attention. 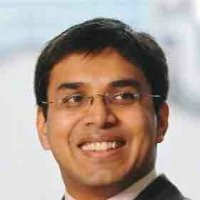 Prior to joining the firm, Kapil worked with Duff & Phelps, Grant Thornton and KPMG. 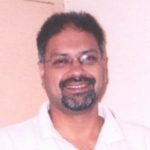 Kapil is a regular contributor on media and training platforms such as Yourstory.com and VC Circle as an expert in the valuation domain. Kapil holds a Master’s degree in Accounting and Finance from the London School of Economics and Political Science. Srividya is the managing director of Duff & Phelps Singapore Pte Ltd. She set up American Appraisal Singapore operations in 2012, which later got acquired by Duff & Phelps, the largest global independent valuation advisory firm. She has over 19 years of experience in valuations, M&A, corporate finance and management consulting. She has advised numerous companies on valuations for the purposes of transaction, restructuring, taxation, financial reporting, dispute resolution and financing. She is a member of the Institute of Valuers & Appraisers of Singapore (IVAS) Council as well as the IVAS Professional Development Committee. She is an empaneled valuer with the Intellectual Property Office of Singapore (IPOS) for their IP Financing Scheme. Prior to joining American Appraisal, Srividya was the Partner and Practice Leader – Valuations at Grant Thornton India. She established their valuation practice in 2004. Under her leadership, the practice grew to one of the largest, at a national level. Srividya has also worked with Baring Communications Equity Asia (BCEA), a private equity fund in Singapore, part of the ING-Barings group and with A.F. Ferguson & Co (part of Deloitte) earlier in her career. Srividya has advised several global and Asian clients across a variety of sectors such as technology, life sciences, manufacturing, consumer products, energy & resources etc. Srividya has published various articles on valuation, PE/VC and M&A, and has been interviewed by several television channels, newspapers and magazines. She is a regular speaker at conferences and seminars. Srividya is a Post Graduate Diploma in Management (equivalent to MBA). She is also a Graduate of the Institute of Cost & Works Accountants of India and has a Bachelor of Commerce. 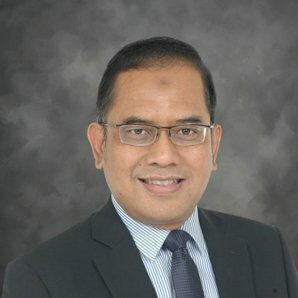 Andre has more than 18 years of experience in all aspect of valuations and is part of the Ernst & Young Global Valuations Discussion Group for financial reporting and a member of the Valuation Sub-committee of Institute of Singapore Chartered Accountants (ISCA) Financial Reporting Committee. He is also a member of the Working Committee with Intellectual Property Office of Singapore (IPOS) on accreditation framework for valuers. He speaks regularly in seminars and conferences on valuations and has written various articles on this topic. Andre has acted as an expert in the Courts of Singapore as well as arbitration proceedings. He is a Chartered Accountant with ISCA and a Fellow with CPA Australia. – A selection of Andre’s notable seminar experience include: – Intellectual Property Office of Singapore and W orld Intellectual Property joint seminar: Intellectual Property Management for C-Suite (Singapore) – Global Institute of Intellectual Property (GIIP) and Multimedia University Malaysia joint workshop: Intellectual Property – Creation, Management and Commercialization (Malaysia) – The Association of Small and Medium Enterprises (ASME) – Brand Seminar: Building Your Brand A Pixel at a Time (Singapore) – France-Singapore Patent Symposium, where Andre moderated the case study on the valuation of a mock IP asset – CPA Australia Financial Reporting Standards Forum – Fair value measurement – ISCA Financial Services Regulatory Commission (FSRC) Seminar – Institute of Valuers and Appraisers of Singapore (IVAS) Business Valuation Conference . Ashish is a Director providing M&A advisory services to his clients with regards their Mergers and Acquisitions (M&A) transactions, Purchase Price Allocation (PPA) exercises, asset impairment reviews and other financial reporting valuations. Prior to joining Duff & Phelps, Ashish was with PricewaterhouseCoopers Singapore for 8 and ½ years in their valuation practice and has advised leading corporates as well as private equity players in the M&A and reporting requirements. Previously, he has around 9 years of work experience in India having worked both in the telecom industry – Escotel Mobile (now Idea Cellular) and Bharti Airtel – as well as with M&A advisors – Lazard and Deloitte. Ashish has worked on deals across borders as well as across varies industries including telecom, precision manufacturing, consumer & retail, food & beverage, healthcare, power generation and infrastructure. He has advised several companies including ST Telemedia, Singapore Airlines, Fraser & Neave, ST Engineering, Amtek Engineering, Qatar Telecom (now Ooredoo) in their M&A, IP valuation and financial reporting valuation requirements. He has also advised various private equity players such as Standard Chartered, CVC, KKR, Affinity Equity Partners, Blackstone, CMIA, Zana, Prudential in their financial reporting as well as portfolio valuation requirements. Some of the key transactions he has advised on in the recent past include advisory for a leading south east Asian airline for potential acquisitions in the region, advisory for a leading conglomerate with regards divestment of its beverage business, advisory to a leading bank with regards divestment of its stake in an F&B and real estate conglomerate. He was previously involved in various successful M&A deals in India and Singapore which include sale of a medical aesthetics company (Singapore), Bharti Airtel’s acquisition of Spice Mobile Calcutta (India), and Baxter’s acquisition of Wockhardt’s IV fluid business (India). Ashish is an Honors graduate in Physics from St. Stephen’s College, Delhi University, India. He received his Post Graduate Diploma in Management (MBA) from Amity Business School, NOIDA, India. josephine is a Chartered Accountant, Singapore as well as an International Certified Valuation Specialist (ICVS). She has more than 8 years of experience in the area of financial advisory services. 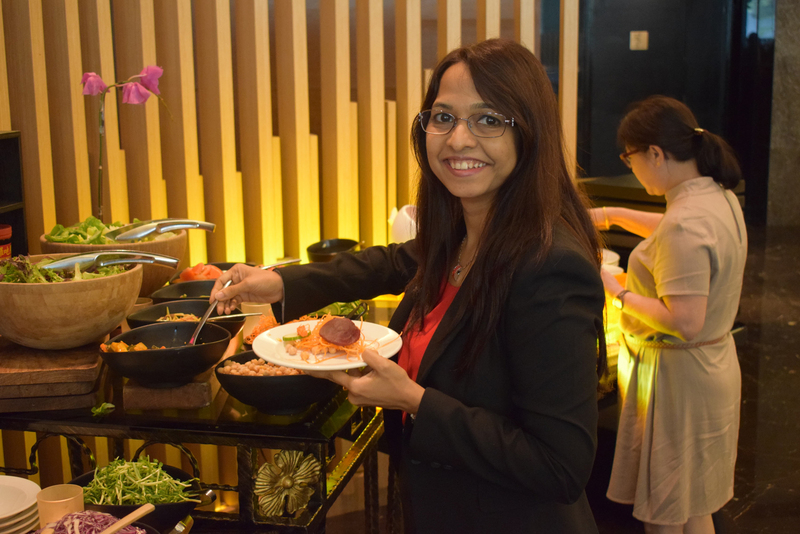 Prior to joining RSMCA she was a Director with the Valuations team at KPMG Corporate Finance in Singapore. Josephine has broad experience advising on a range of corporate finance assignments. She has completed over 250 assignments including enterprise valuations, intangible assets and intellectual property valuations, purchase price allocations, impairment, employee stock options, expert witness reports, mergers and acquisitions as well as transaction advisory services. Her industry expertise includes healthcare, telecommunications, real estate, financial services, manufacturing, agriculture, retail, consumer goods and logistics. Her regional experience spans across China, Thailand, Myanmar, Indonesia, Malaysia, Vietnam and South Korea. She has also performed numerous valuation review of various investments held by large sovereign wealth funds and private equity funds in the energy, logistics, education, technology and real estate sector. Anil has over 7 years of Valuation experience and prior to it, 9 years of public accounting. His experience span across the valuation of multiple assets class such as Businesses, Intellectual Properties, Derivatives, Structured Products, Alternative Investment, etc. He has also worked with client on strategy, financial risk management, financial modelling and financial due diligence projects. Further, he has significant experience in supporting to private equity and hedge fund managers on valuation matters. He is a Chartered Financial Analyst (CFA), a Fellow Chartered Accountant of India and Financial Risk Manager. He holds a Bachelor of Commerce degree from University of Mumbai. 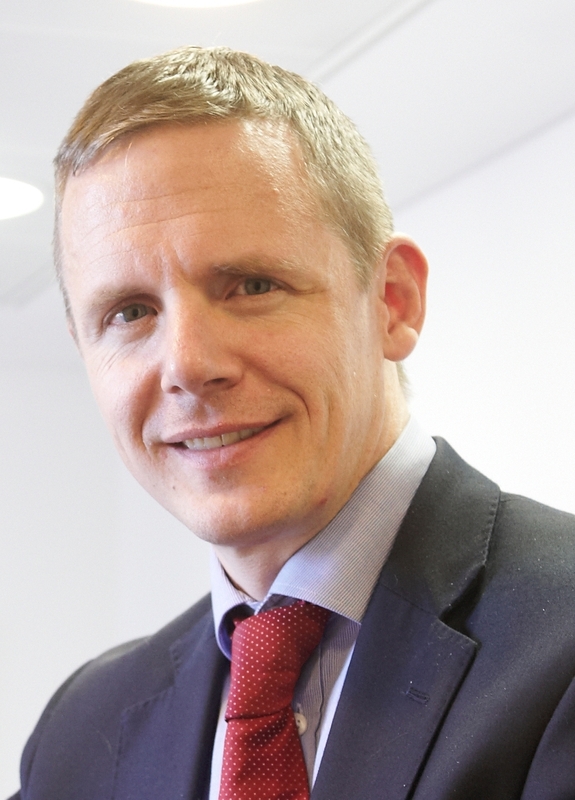 Jamesy has close to 20 years of experience providing corporate finance advisory services to clients in the region advising on debt and equity financing, business and intellectual property valuation for investment decisions, trade transactions and M&A, restructuring and financial reporting. 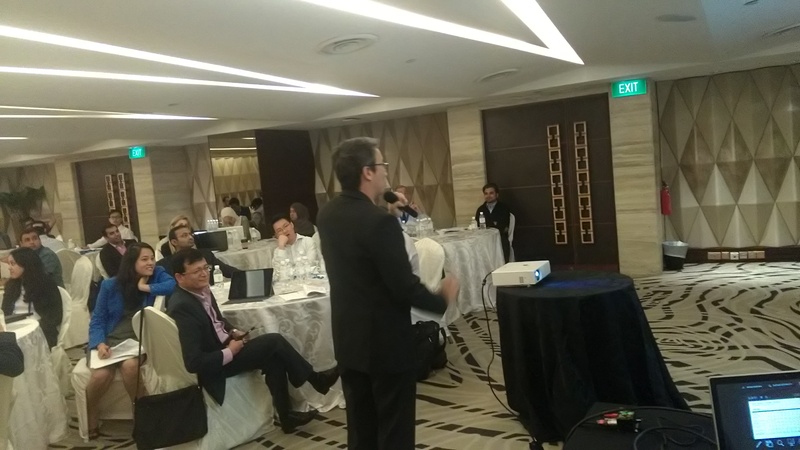 Jamesy has also been involved with the Intellectual Property Office of Singapore (IPOS) as part of its IP Finance Working Committee relating to the Singapore IP Competency Framework and as a business consultant under IPOS’ SCOPE IP programme. Prior to KPMG, Jamesy was with the Commodity Structured Finance team at Bank of Tokyo-Mitsubishi UFJ and an investment house under the San Miguel group of the Philippines. Jamesy holds a Master of Business Administration from IESE Business School in Spain and a Bachelor of Science in Management Engineering from the Ateneo de Manila University in the Philippines. Raja leads the Private Equity Advisory Initiative for the Firm and covers sectors like Technology, Media and Financial Services Sector within Corporate Finance. Raja focuses on various aspects of deal making starting from deal origination and ideation, preliminary deal analysis, due diligence (financial and commercial), valuation, deal negotiation and advise on deal agreements. He also advises clients on post deal integration matters and ideation of exits for Private Equity Funds. Raja has advised and led more than 240+ deals over the past decade of transaction advisory experience and has worked with corporates (India and multinational) as well as leading Private Equity Funds. Raja spent close to 14 years in one of the large accounting and advisory firms and had co-founded the transaction advisory practice. Vijaykumar Iyer (Vijay) has been with Deloitte in India for over 25 years and is a currently a partner in their M&A Transaction Services and financial due diligence services. Vijay has over 15 years as a full-time M&A specialist in the field of financial due diligence and has worked on over 370 domestic and cross border transactions across a spectrum of sectors including manufacturing, telecom, media, pharma, real estate, banking and financial services. Vijay has also worked in the UK and Singapore offices of Deloitte and has valuable experience in the fields of financial analysis and transaction support. He is a regular facilitator of training programs for the VC Circle apart from facilitating conducted training programmes conducted by the Institute of Chartered Accountants of India, the Administrative Staff College, Bombay Chartered Accountants’ Society and Flame Management Institute. Vijay is a fellow member of the Institute of Chartered Accountants of India and an associate member of the Institute of Cost Accountants of India. Kalpana is a solicitor and a senior partner at Khaitan & C0’s Mumbai office. Prior to joining Khaitan, she worked at Ashurst’s London office for 10 years. Kalpana is qualified to practise both Indian laws and English laws. While working in London, she played a key role in building Ashurst’s India practice and built a team at Germany, Milan, Paris and Singapore. Kalpana's practice has always been broad based. While the initial focus was driven by energy and projects, her practice has developed with the changing Indian economy to encompass corporate and M&A transactions. Her work can be best described as a combination of traditional corporate work (M&A, joint ventures, etc.) and project work across a range of sectors. Having set up Ashurst’s India practice and since returning to Mumbai in 2008, she specialises in cross border joint ventures and mergers & acquisitions by delivering practical solutions to clients on doing business in India. She is experienced in leading diverse teams in dynamic environments while achieving success in competitive markets. She is focused and has a consultative and collaborative style. She regularly acts for international companies and is recognised in independent guides as one of the leading lawyers. Some of the clients Kalpana has advised include Expedia, Babcock & Wilcox, Eris Lifesciences, KEC international, Mahindra & Mahindra, Visa Steel, Kuwait Petroleum Corporation, Unocal Corporation, McCain Group, Devidayal Limited, Raychem RPG Limited, Waterlogic plc, etc. Santosh is a Director in the Transaction Tax Services division of Ernst & Young and is based in Bangalore, India. He is a Fellow Member of the Institute of Chartered Accountants of India and Licentiate Member of the Institute of Company Secretaries of India. He has over 12 years of experience and more than 8 years in the area of Corporate re-organization, inbound and outbound structuring advisory, conducting tax due diligences, advisory on various M&A activity including buy back, capital reduction etc. 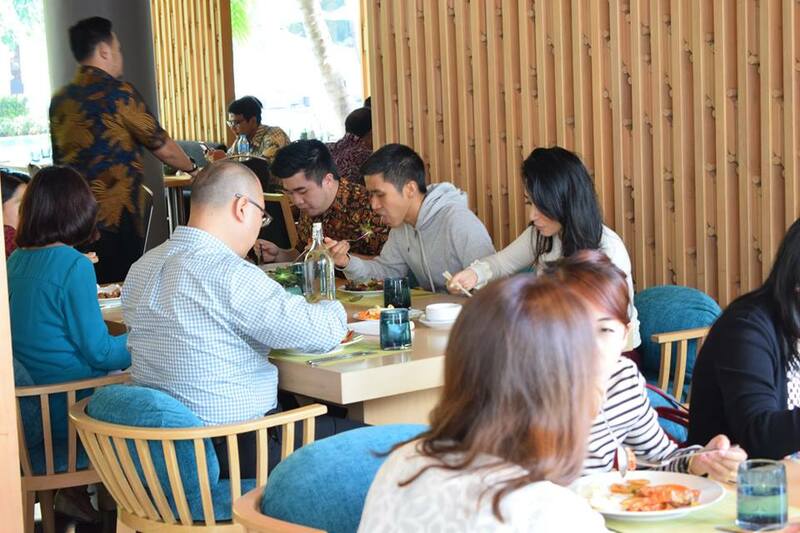 ►He has been part of more than hundred tax due diligence exercise in various sectors including IT, hospitality, hotels, catering, auto components and other sectors. ►He has also been part of regulatory, tax, financial and business advisory related to group re-organization and restructuring activity. ►He has handled mergers, de-mergers across seven states in India. ►His experience includes advising on transaction structuring including mergers, acquisitions, divestitures, corporate restructuring, foreign investment consulting, tax due diligence and inbound acquisitions; ►Has experience on restructuring services include realignment and rationalization of organizational structure in tax and regulatory efficient manner. ►Has extensive experience in advising clients in the areas of acquisitions, divestments, mergers, demergers, corporate restructuring, reorganizations, foreign investment consulting/ establishment of joint ventures, international tax (including PE advisory), corporate tax and business re-organization. ►Advised various Private equity players on their transaction and investment structures, withholding tax issues , Tax NOC s etc. Sandeep Baldava is a Partner in Ernst & Young India’s Fraud Investigation & Dispute Services and leads this practice across South India. He is a Chartered Accountant, a Certified Fraud Examiner & a Certified Information Systems Auditor by qualification with over 17 years of professional experience. He specializes in Forensic & Fraud Investigations, FCPA/Anti Bribery Advisory Services and Anti-Fraud Controls review engagements. He is the core leadership team member of the Fraud Investigation & Dispute Services (‘FIDS’) practice at EY India and over the last 14 years has led several forensic investigations and FCPA/UKBA/Anti Corruption review engagements for large companies in US, Asia, Europe & Africa. He has developed several white papers and training materials on fraud concepts recent ones being “Role of Directors in Fraud Risk Management" and "Fraud Risks in IT & ITES Industry in India”. He has conducted several training workshops on Forensic Accounting, Fraud Risk Management & Anti Corruption Compliance for Companies and for federal and state enforcement agencies in India. He has delivered presentations at various prestigious international forums on the topics of white collar crime and anti bribery. His articles on tackling white collar crime appear regularly in the print media. Mr.Rajiv Sunder is a M&A Transaction Services Senior Diector based out of Bangalore. He leads the TMT industry vertical for transaction services. He has been with Deloitte India for over 19 years. 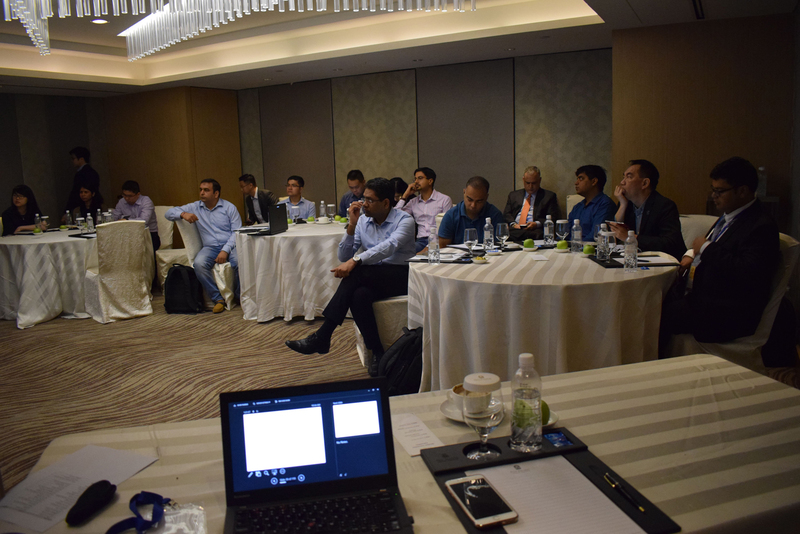 Prior to transitioning to transaction services, he was with the audit practice working on audit engagements of some of the largest Clients of the firm in Bangalore. 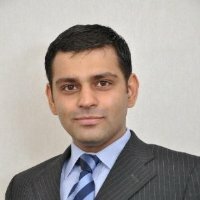 He has focussed on transaction services for the past seven years and has worked with a wide array of clients (both multi-national companies and large Indian corporate) with a focus on the Technology sector but also on a number of transactions in the consumer business, infrastructure and manufacturing sectors. Rajiv has worked on some marque transactions in India and overseas. He has managed large multi-locational engagements and worked equally on a number of cross-border transactions involving Indian Companies looking to acquire overseas businesses and MNC’s investing into India. Since 2012, Rajiv has been managing Deloitte India’sTechnology Fast 50 events, an award program which recognizes the fastest growing companies in the technology sector in India. Rajiv is a Fellow member of the Chartered Accountants of India. 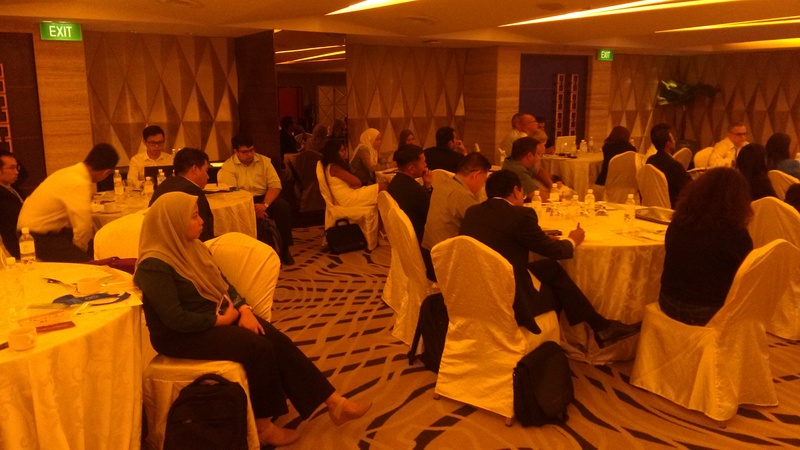 He has presented at various forum on M&A and transactions services in specific. Vidya is a Partner and leads Grant Thornton India Forensics practice. She brings over 15 years of investigations and forensic accounting experience. She has substantial investigative and forensic consulting experience in USA and India. Prior to joining Grant Thornton, Vidya was associated as a Partner at a Big Four firm. She is the sole India nominee in the International Who's Who of Arbitration Expert Witnesses 2014. She has represented her clients in various forums including the American Arbitration Association (AAA), ICC Court of Arbitration, the International Centre for Settlement of Investment Disputes (ICSID) and several ad-hoc arbitrations in the United States and India.Vidya specializes in large, multinational, complex litigation and investigation assignments, including internal investigations, forensic accounting investigations as well as arbitrations and resolution of post-acquisition purchase price disputes. She has significant experience in leading numerous forensic accounting assignments, anti-corruption and fraud investigations that require the reconstruction of complex financial records, as well as regulatory proceeding matters involving SEC investigations and NASD self-assessments. He is currently working with KPMG India in the capacity of Director – Corporate Finance. He has vast experience in the field of Valuation for M&A and Intangible Assets. He specialize in advising clients on PE funding, Mergers, JVs and Capital Restructuring. Apurva assists clients in complying with various regulatory valuation requirements. In the past he was also associated with Ernst & Young India as Associate Director. He has done his MBA Finance from Management Development Institute - Gurgaon as well as from ESCP Europe. He is also a member of The Institute of Chartered Accountants of India. Dilip Dusija is an Executive Director in charge of mid-market Private Equity Services with Ernst & Young India(EY). He has worked for more than 14 years as a Transaction Advisory professional, having experience in deal making as well as transaction support, with specialization in Private Equity Services. 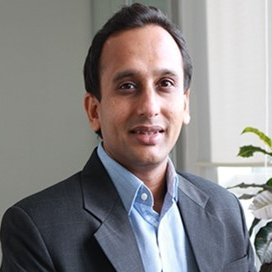 In the past, he has also worked with professional organizations like BDO India LLP, Axis Bank/Axis Capital, Ernst & Young, RSM & Co (merged with PWC) and KPMG India(audit and assurance). He has end to end experience, from origination till completion of a transaction. In his current role at EY, he plays an active role in networking with Mid-market Private Equity Funds and Promoters of mid-market growth oriented companies and advising them on Private Equity related services which EY offers. He is a member of The Institute of Chartered Accountants of India and in his free time he likes to train for Triathlons and Marathons and coach his ten year old son for Badminton. 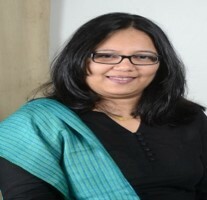 Kalpana Jain is a Senior Director at Deloitte India. She has nearly 25 years of experience providing advice and counsel on M&A, financial and commercial due diligence, valuation and fund raising. She expertise in providing credible solutions on matters of disinvestment, privatisation and financial modelling has earned her a formidable reputation in her line of business. She is the co-chairperson of Venture Capital Association of India and speaks regularly with top tier media as well as at prominent industry conferences. She has been recently recognised as one of the 25 Most Talented Woman Professionals of India by CMO Asia & World Brand Congress. She has earned a Masters in Business Economics from the University of Delhi. Sumeet combines 7 years of entrepreneurial experience in manufacturing with 8 years of investment banking. He supports clients on strategic & financial advisory, focusing on capital raising and M&A initiatives. His capital raising and M&A advisory experience encompasses a wide spectrum of sectors including Consumer & Retail, Media & Entertainment, Real Estate & Hospitality, Manufacturing, Food Services and Logistics. He has also worked closely with industry organizations such as CII and ASSOCHAM on developing publications around the M&A and funding environment. Dr. Bala Dharan, Ph.D., CPA, is Robert B. and Candice J. Haas Professor and Senior Lecturer at Harvard Law School and Research Affiliate at MIT Sloan School of Management. He is also a Managing Director at Berkeley Research Group, an international business and litigation consulting firm. Professor Dharan has provided consulting and expert testimony on corporate finance, accounting and auditing, business valuation, and corporate governance issues. He has been invited three times to the United States Congress to testify on financial reporting issues, and has been a frequent invited speaker at various corporations and industry conferences. He has provided valuation and strategic consulting for several start-up businesses, and helped co-found a software technology business serving the banking industry. 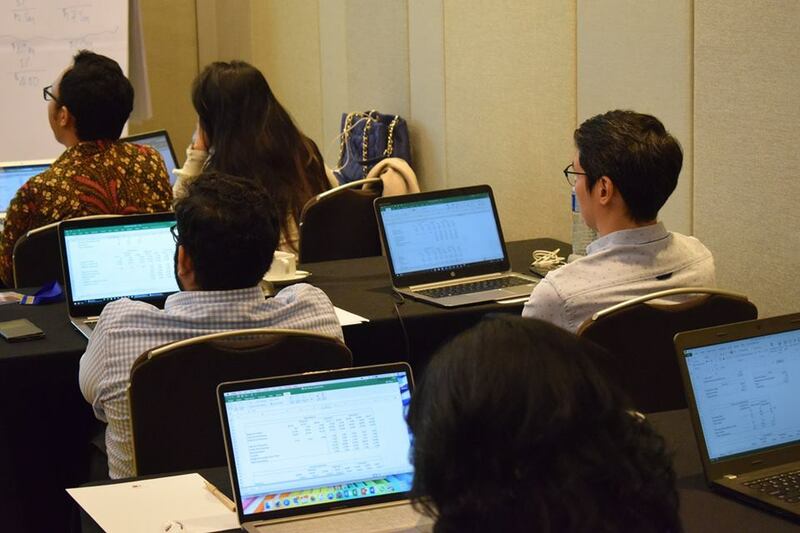 Professor Dharan is an award-winning teacher and has designed and taught dozens of corporate executive education offerings at Wharton School, Rice University, Indian School of Business, and other institutions. He has been a professor or visiting professor at leading global business schools, including MIT Sloan School of Management, University of California at Berkeley, Kellogg School of Management at Northwestern University, Indian School of Business, and Jones School of Management at Rice University. His research centers on the strategic use of financial information by managers and investors. He is co-author of four textbooks. Professor Dharan is a Certified Public Accountant (USA) with ABV (Accredited in Business Valuation) and CFF (Certified in Financial Forensics) credentials. He has a B.Tech degree in chemical engineering from the Indian Institute of Technology, Madras, PGDM (MBA) from the Indian Institute of Management, Ahmedabad, and MS and Ph.D. degrees in accounting from Carnegie Mellon University, Pittsburgh. 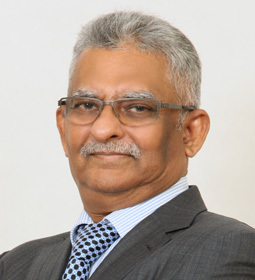 Srivatsa Krishna is currently Secretary, e-governance, and Chairman of KUIDFC (Karnataka Urban Infrastructure Development and Finance Corporation). He led the team that launched MobileOne, which was certified as the world’s largest mobile governance platform with over 4,000 services; set up India’s first Startup Warehouse; runs India’s largest e-procurement platform; launched free public Wi-Fi in Bangalore and is now setting up India’s 1st Big Data city. Earlier he worked in the Strategy, Finance and Risk Management Vice Presidency, World Bank Group, running one of their largest capital investment funds, performance management, offshoring and various PPP projects. The World Economic Forum at Davos recognised him as a Global Leader of Tomorrow and Thinkers50 as one of the top thought leaders in 2013. He is a prominent and influential commentator in both, national print and electronic media. Karan, based out of Mumbai, is a senior member of the Corporate and Securities practice at Nishith Desai Associates and also co-heads the Banking and Finance practice at the firm. Karan’s practice primarily focuses on banking and structured finance transactions, private equity and venture capital investments, merger and acquisitions and generally corporate advisory matters. He has advised various clients across several jurisdictions and sectors with a specific industry focus on the financial services sector. Falguni Shah has over a decade and half’s experience on transactions and corporate restructuring engagements from a tax and regulatory perspective. She regularly advises both Indian and MNCs across sectors including manufacturing, pharmaceuticals, infrastructure, IT, energy and natural resources, financial services, auto, FMCG on structuring or restructuring M&A transactions and support them in implementing these in a seamless manner. Falguni is a member of the Indian Chartered Accountant Association and a qualified Cost Accountant. He is managing director in the San Francisco office of Duff & Phelps and part of the Portfolio Valuation service line. He has more than 30 years of transaction and accounting experience. He specializes in fair value accounting issues, and specifically in valuation, accounting, and regulatory issues faced by Alternative Asset managers and investors. David advises leading Private Equity Managers and Institutional Investors and has advised numerous strategic and private equity acquirers in all areas of mergers, acquisitions, joint ventures, divestitures and valuation related matters. He provides valuation policy and process assistance to a number of the world’s largest institutional limited partner investors and some of the world’s largest alternative Investment managers. 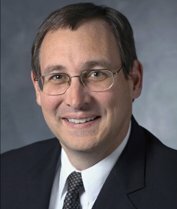 David serves as Vice Chair of the International Private Equity and Venture Capital Valuations Board (IPEV), which in 2015 released updated International Private Equity Valuation Guidelines and serves as a member of the American Institute of Certified Public Accountants (AICPA) PE/VC Practice Guide Task Force. David has served as a special advisor to the Institutional Limited Partners Association; board member, project manager and technical advisor to the Private Equity Industry Guidelines Group and was instrumental in developing and drafting the Private Equity Industry Guidelines Group’s Valuation and Reporting Guidelines; member of the Financial Accounting Standards Board’s Valuation Resource Group responsible for providing the Board with input on potential clarifying guidance on issues relating to the application of the principles of FASB ASC Topic 820 (formerly SFAS No. 157), Fair Value Measurements and a member of the AICPA Net Asset Value Task Force. Azmul is an international business lawyer qualified in 3 jurisdictions (England, India and Singapore). Over the last 15 years, he has developed particular expertise in complex, cross-border legal matters, including: 1. Corporate Transactions: mergers, acquisitions and divestitures, joint ventures and strategic alliances, private equity, venture and angel financing and corporate finance generally. 2. Commercial Contracts: outsourcing, franchising and licensing, procurement, distribution, supply and services contracts and cross-border leasing. 3. Regulatory Matters: in a range of areas affecting the conduct of business including securities & futures regulations, financial advisory, asset & wealth management, trusts & fund administration, as well as evaluating new business models disrupting traditional industries including FinTech, e-Commerce, HealthTech, IoT, Big Data and Crowd-funding. He has sector experience working with clients across industries, such as Internet & e-Commerce, Technology, Hotels & Leisure, Media & Entertainment, Pharma & Healthcare, Real Estate, Media and Telecoms. Having worked extensively with MNCs, prominent family-owned Asian businesses and high-net worth individuals across Asia, he now find the most satisfaction working with and across entrepreneurs and founders. He usually prefer representing high-growth start-ups in multiple rounds of venture capital financing. He has “on-the-ground” experience in several jurisdictions in Asia, and have a keen insight into the regulatory matrix and cultural context of deal-making in Asia, particularly the India-Singapore deal corridor. He has lived and worked in Mumbai, Singapore and London. He is ranked and recommended by several legal industry directories including Chambers Asia, Asia-Pacific Legal 500 and Global Law Experts (for TMT). In October 2016, he was ranked a “Top 40 Under 40” lawyer by Asian Legal Business (legal industry publication, owned by Thomson Reuters). Brian is a Managing Partner of InnoTech Ventures. With his mastery of innovation and tech commercialisation education from Stanford, Brian has been serving as an director, CEO, advisor and board member of various early-stage technology companies and venture capital firms in APAC. Brian has spearheaded two separate listings and achieved a number of M&A deal closures for deep tech start-ups he has advised for and managed in the past. He strongly supports start-up ideation and venturing culture amongst young entrepreneurs and technologists and is keen to share his experiences. Mr. Vaibhav Parikh is the Partner in – charge of the Bangalore office of the multi-skilled, research-based international law firm, Nishith Desai Associates (www.nishithdesai.com). He is Partner in-charge of the M&A and Private Equity practice groups. He also heads the Fund Investments practice group. He is a member of firm’s executive committee. He has a wide range of experience in corporate and technology transactions. He has advised several private equity and venture capital funds in their investments, specifically in e-commerce, technology, media and life sciences industry. He also has significant experience in M&A transactions including advising on India’s largest e-commerce transaction till date. He has been passionately involved in setting up operations and raising finance for several start-up companies. He is actively involved in the Intellectual Property Practice and is in charge of industry focus group for IT, Telecom, and Media. He has advised many leading Indian e-commerce companies in their operations from a legal and regulatory stand point. He has been nominated as one of Leading Lawyer in Private Equity Practice by IFLR1000 in the year 2013. He has also been nominated as one of the world’s leading practitioners in ‘Who’s Who Legal’ for Regulatory Communications. He is recommended by Legal 500 as an expert in TMT and competition law in 2014. He has been ranked number one for TMT by Chambers and Partners in 2015. Vaibhav Parikh is regularly sought after for his extensive experience in advising on technology matters, with an emphasis on corporate transactions. He has authored several papers and lectured at several prestigious gatherings on a worldwide basis. He has also been acknowledged as a ‘Highly Recommended Lawyer’ for Outsourcing, and Telecom and IT and ‘Recommended Lawyer’ for Intellectual Property by the PLC Which Lawyer? 2009. He has represented NASSCOM at a WTO symposium at Geneva for presenting a paper on ‘Movement of Natural Persons’ in 2001. He is a Charter Member of TiE, Bangalore Chapter and is also on the executive council of the Franchising Association of India. Oriented towards Small and Medium Technology Companies (Revenue range USD 0 –5 Million) providing a range of de-facto CFO Services on a retainer-ship as well as project assignment basis. The Consulting practice is oriented towards Companies who do not have the resources to employ full time CFO at current compensation levels and do not require the expertise on a full time basis either. The Practice commits CFO capability to such enterprises on a time-sharing basis and provides top-of-the-line CFO capability at Finance-Manager cost levels. Thus adds significant value to the clients’ strategic and operational capability and efficiency through enhanced quality of decision-making on a day-to-day basis. Triono has extensive experience in providing deals advices in valuations, mergers and acquisitions, financial and commercial diligence and market entry and growth strategy to major domestic and multinational corporations, in various sectors. His main industry focus includes technology, media and telecommunications. His clients include medium to large domestic and multinational companies in various industries ,eg. 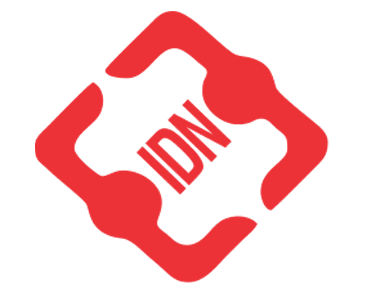 oil & gas, telecommunications, media, and manufacturing, including all major Indonesian telecom operators, such as VSAT operators, a major oil & gas concession, and various oil & gas contracts. He led the commercial due diligence and market entry studies in various industries including broadband wireless operator, metal smelting, print advertising, cloud computing, and state food logistic. He also conducted commercial due diligence for infrastructure companies related to telecom, toll roads, power and broadcasting. I am a dual-qualified lawyer (India and England) with 13 years work experience in top law practices worldwide. My work encompasses general corporate/ M&A advisory, banking and strategic/ PE investments. I operate across industry sectors and the deals I advise on include private transactions as well as public/ listed matters. I have also had considerable experience drafting and negotiating high value commercial contracts. Through my work, I have demonstrated and proven my maturity in presenting to clients and peers, as well as representing high profile clients in strategic discussions and initiatives. I have successfully built relationships with client executives, diverse teams and partners to identify potential opportunities and deliver results. I have also enthusiastically taken on business development and strategy responsibilities. Ankur is an Investment Banking and Private Equity professional. 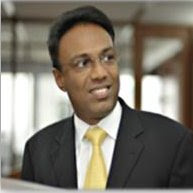 He possesses rich and extensive experience in the field of Mergers & Acquisitions having worked with highly regarded & reputed global firms such as SBI Caps, PwC, E&Y & Deloitte. He started his career as an in-house legal counsel with HCL Technologies Ltd. & subsequently moved to management & consulting domains with Finance (M&A ) as his area of specialization. Shreyansh Vora has been with Deloitte for 25 years with over 15 years as an M&A specialist in the field of financial due diligence. He has worked on over 350 domestic & cross border transactions across sectors within the manufacturing industry. Vijay has also worked in UK & Singapore offices of Deloitte and has valuable experience in the fields of financial analysis & transaction support. Vijay is a member of the Institute of Chartered Accountants of India and the Institute of Cost Accountants of India. 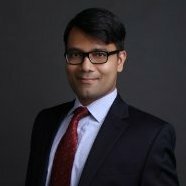 Nishant has worked on a wide array of corporate transactions – mergers & acquisitions (both domestic and cross-border), private equity, joint venture, fund formation, corporate restructuring, capital market transactions – with a special emphasis on infrastructure, energy and natural resource sectors. In the infrastructure space, he has worked in energy, natural resources, road, aviation, port, education and healthcare sectors. Nishant was most recently a partner at Khaitan & Co. Nishant has also been involved in the representation of investment banks, private equity funds, hedge funds and Fortune 100 companies in multiple jurisdictions (Australia, Brazil, China, Canada, France, Germany, Ireland, Israel, Japan, Mozambique, Saudi Arabia, South Africa, the Philippines, the U. K., the U.S. and Turkey). In addition to transactional work, Nishant has regularly advised board of directors / special committees on day-to-day internal corporate affairs, corporate governance matters and shareholders’ relations. In the past Nishant has worked for Amarchand Mangaldas Suresh A. Shroff & Company, Dewey & LeBoeuf LLP and Perkins Coie LLP in their New York and California offices, respectively. Rick is an experienced Wall Street and Silicon Valley investment banker based in Asia. Having completed over 50 transactions totaling over US$10 Billion and having covered a broad base of fundraising and M&A advisory assignments across the globe, he has worked with a wide range of clients from Fortune 500 companies to advising start-ups. His industry experience covers chemicals, transportation, telecom, media, technology, retailing, consumer products, and security and defense industries. He is the founder of Lares Loreno Private Capital, a Singapore-based firm providing advisory and corporate finance services to small and medium-sized enterprises, family businesses and private equity investors. Rick is also a director with Fortress Group, a US-based fund placement agent and oversees their fund placement operations in Asia. Previously, Rick was a Vice President at Deutsche Bank in their Consumer Products and Retail Coverage Group in New York where he called on and worked with corporate and private equity clients globally. Prior to Deutsche Bank, Rick split his time between Merrill Lynch’s Consumer Products Group in New York and their Internet Technology Group in Silicon Valley, California where he led their Internet E-commerce investment banking group, raising capital and providing strategic advisory for companies looking to monetize or expand their existing internet businesses. Rick began his investment banking career as an associate at Donaldson, Lufkin & Jenrette (subsequently acquired by Credit Suisse). He immediately gained significant transaction experience in emerging markets, M&A and leveraged finance. He also has a corporate governance background as an independent director on the boards of directors of listed and private companies in Spain, US, China and Japan and is the trustee for an employee stock ownership plan (ESOP) for a Wang Technologies, a geotechnical engineering company in the US. He was actively involved in recruiting and training incoming analysts and associates at Deutsche Bank and Merrill Lynch and was a teaching assistant for advanced financial statement analysis at the University of Chicago – Booth School of Business. 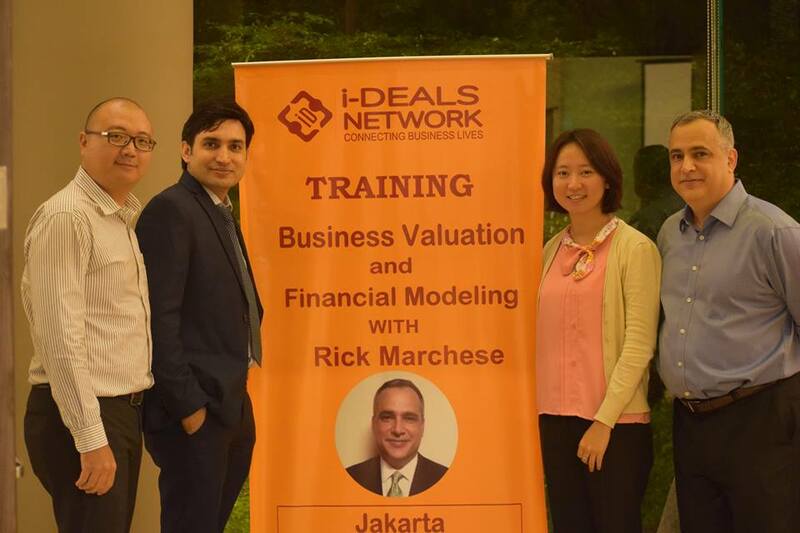 Rick is a member of the Singapore Institute of Directors and is a Chartered Alternative Financial Analyst (CAIA). He graduated with an MBA from the University of Chicago – Booth and a BS in Economics from the United States Naval Academy at Annapolis. Michael I. Waitze worked in Global Finance for more than 20 years, employed by firms like Citigroup, Morgan Stanley and Goldman Sachs, primarily in Tokyo. Michael began his career in the back office, transitioned into a technology support and development group and spent most of his career as a multi-product trader in Japan and Southeast Asia. He has built multiple trading businesses and managed and mentored successful teams as well, all while managing relationships with he largest institutional investors in the world. During this time, Michael also maintained a particular focus on how technology could be used successfully to make those businesses more efficient and to drive P/L growth. Michael has a deep knowledge of global equity markets, equity valuations and has been the head of multiple Portfolio Trading desks. He has traded Equities, Portfolios, Futures, Currencies and Fixed Income Securities. After more than 20 years in Tokyo, Michael moved to Southeast Asia to get more involved in the Private Equity and Venture Capital businesses and invest his own capital. During the almost five years he has lived in Bangkok, he has become deeply ensconced in the Technology Start Up ecosystem in the region. He has connected to all of the relevant investors and Venture Capitalists in Southeast Asia and Japan and become a central figure in its growth. He is quite skilled at connecting people and capital to innovative ideas and is always advising multiple Start Ups. 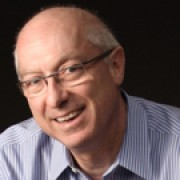 Michael is trusted advisor to both investors and founders. Michael has raised capital and advised some of the most famous Start Ups in the region and is also well known for his podcast ‘Asia Tech Podcast’ and his interview series entitled ‘Michael Talks Tech’. 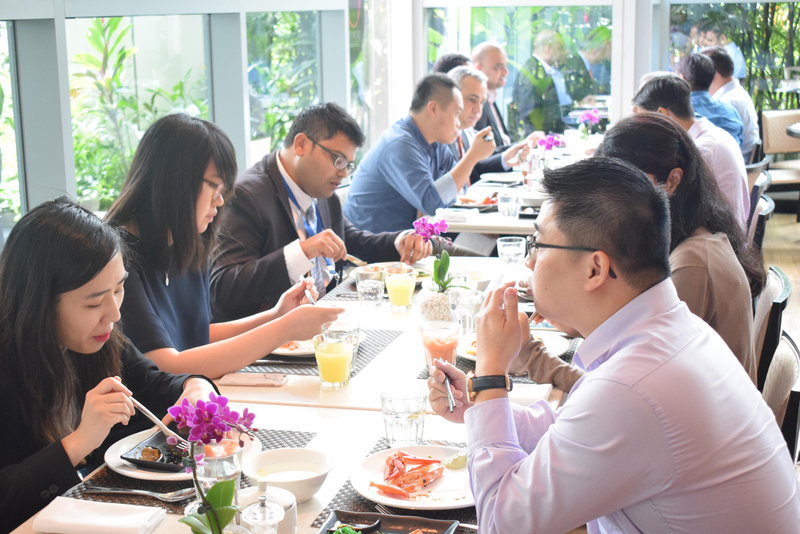 As an LP in Ardent Capital, Michael has been exposed to some of the most talented and prolific Start Up founders in Thailand and the rest of Southeast Asia. Michael also is frequently asked to speak at regional tech conferences. Mr. Chonladet Khemarattana is our CEO and he is also in charge of company’s R&D Center. Prior to founding Fintech (Thailand), he was a managing director of a securities company. He has spent more than 12 years working for Thailand’s leading financial institutions. His area of expertise covers online brokerage business development, marketing strategy, algorithmic trading and investment advisory. Before entering investment industry, he was working in a software development industry as a business analyst. Mr. Chonladet had an essential role in rebranding several traditional securities companies towards a more energetic brand positioning via a distinctive product differentiation strategy and suitable marketing strategy. Also, he is the first one who invented the algorithmic trading service for the individual investor in Thailand. For volunteer experiences, he has been serving as a regular judge and commentator of Capital Market Research Forum, Stock Exchange of Thailand. He is also appointed as a visiting lecturer at Thammasat University where he can share practical investment experiences to Master in Finance students. On a regular basis, he is invited as an investment expert to the nationwide live TV program at Money Channel. In furthermore, he is a blogger of www.moneychannel.co.th and www.settrade.com who provides finance and Fintech articles. 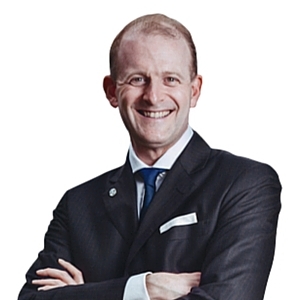 Andrew graduated with a Bachelor of Science in Finance and an MBA from California State University and earned his PhD in finance from the University of Science and Technology of China. In 2013, Andrew retired from a 20-year career as an equity analyst at various brokers in Thailand to set up A. Stotz Investment Research (ASIR). His final eight years in the business were spent as a Head of Research, managing teams, and writing strategy regularly. He is the current CFA Society Thailand president. While Head of Research at CLSA, Andrew was voted No. 1 Analyst in Thailand in the Asiamoney Brokers Polls for 2008 and 2009. He was also voted No. 1 Analyst in Thailand in the 2009 Institutional Investor magazine All-Asia Research Team Report. Andrew and Sornsak have been a team for the past two decades. Nick has been the CEO of the IVSC since August 2016, following a previous 10 month period as a part-time interim CEO to bring a new strategy to the organisation. Prior to this he had a global director role in professional body RICS helping develop their professionalism offering around the world. This followed an extensive amount of time working internationally as a senior consultant with Ernst and Young and then KPMG from the 90s through to 2011. Nick also has non executive roles for a Legal Chambers in London and the charity arm of a global pharmaceutical company. He speaks 3 languages and has lived in a number of different countries. Outside of work Nick has a strong media and speaker profile for his mountaineering and fundraising for Cystic Fibrosis charities having set a record on his Everest climb in 2016. A number of media and organisations have recognised his endeavours and he has received a Point of Light award from the British Prime Minister. Ajay is a founding member of the Firm and was closely involved in setting up the Firm. He has over 24 years of professional experience and brings a deep understanding of Indian entrepreneurs, capital markets, financial structuring, and matters relating to taxation and regulations. He also brings a considerable network of relationships with the banking community, financial institutions and regulatory bodies. At Ascent Capital, Ajay focuses on investments in consumer, pharmaceuticals, technology, and agri sectors. Besides, raising funds from institutional investors has been part of his responsibilities across all the three funds. Previously, Ajay worked with UTI for nearly seven years across diverse fund management roles. In his last stint there, he managed the India Access Fund, the first India dedicated offshore index fund. He played a key role in UTI’s investment monitoring team and was involved in restructuring several companies across diverse sectors. Ajay qualified as a Chartered Accountant where he was amongst the top rankers in India. He holds a B.Com. from Shri Ram College of Commerce and is also a qualified Cost Accountant. Donald founded ERI & Partners Public Accounting Corporation in 2017 to form an integral part of ERI Organization offering the full spectrum of professional services to its clients. 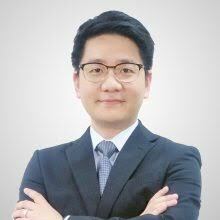 Donald started his career with KPMG in Singapore and between 2004 and 2014, he was a partner with KPMG Shanghai where he gathered extensive experience in the areas of IPOs, due diligence, audit and deal advisory. His clients included, China Construction Bank, CapitaLand, Temasek and HSBC. Upon returning to Singapore in 2014, he joined RSM as a partner where he was actively involved in the areas of deal advisory, due diligence and business advisory work. Donald’s advisory expertise in China and in Singapore ranges in projects covering commercial intelligence, business strategy and market entry feasibility. These include benchmarking of market competitors, cost benefit analysis and the gathering and analysis of commercial intelligence information. In addition, he was also involved in feasibility review, implementing group internal control policies and procedures, integration of these policies and procedures to ensure compliance with regulatory or group requirements, IT integration review, HR requirements and operational review. Aside from professional work, he is a lecturer at Singapore University of Social Science with the School of Business, where he lectures on Financial Accounting, Audit and Doing Business in China. 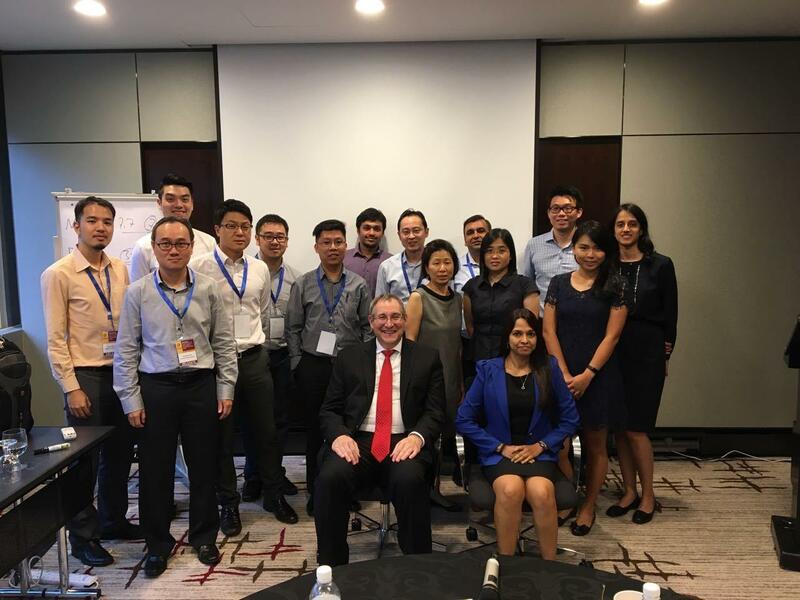 He also speaks at Singapore Management University, IE Singapore and Taiwan Banking Academy on topics covering accounting issues, the financial industry in China, M&A, pitfalls and challenges of doing business in China. 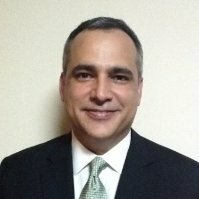 Mark L. Zyla is a Managing Director of Acuitas, Inc. an Atlanta Georgia based valuation and litigation consultancy firm. Mark is the practice leader of the firm’s valuation practice. Mark was recently named Chairman of the Standards Review Board of the International Valuation Standards Council (“IVSC”). Mark also serves on the AICPA’s Forensic and Valuation Services Executive Committee. Mark is a member of the Business Valuations Committee of the ASA where he also serves as Chairman of the Business Valuation Standards and Technical Issues subcommittees. Mark is on the Advisory Council of the Master of Science in Finance program at the University of Texas at Austin. In 2013, Mark was inducted into the AICPA Business Valuation Hall of Fame..
Mark is a frequent presenter and author on valuation issues. He is on the faculty of the Federal Judicial Center and the National Judicial College teaching business valuation concepts to judges. Mark is author of Fair Value Measurement: Practical Guidance and Implementation 2nd ed.published by John Wiley & Sons, Inc. (2013). Mark is also the author of the course, “Fair Value Accounting: A Critical New Skill for All CPAs” published by the AICPA.Mark is also co-author of several portfolios related to Fair Value Measurementpublished by Bloomberg BNA. Jim Rogers is an author, financial commentator, adventurer, and successful international investor. He has been frequently featured in Time, The Washington Post, The New York Times, Barrons, Forbes, Fortune, The Wall Street Journal, The Financial Times and many media outlets worldwide. After attending Yale and Oxford, Rogers co-founded the Quantum Fund, a global investment partnership. During the next 10 years, the portfolio gained 4200%, while the S&P rose less than 50%. Rogers then decided to retire  at age 37. Continuing to manage his own portfolio, Rogers served as a professor of finance at Columbia University, and, later, as the moderator of WCBS\'s \'The Dreyfus Roundtable\' and FNN\'s \'The Profit Motive with Jim Rogers\'. He is the author of several books, including Investment Biker: On the Road with Jim Rogers, A Bull in China, and Street Smarts: Adventures on the Road and in the Markets. 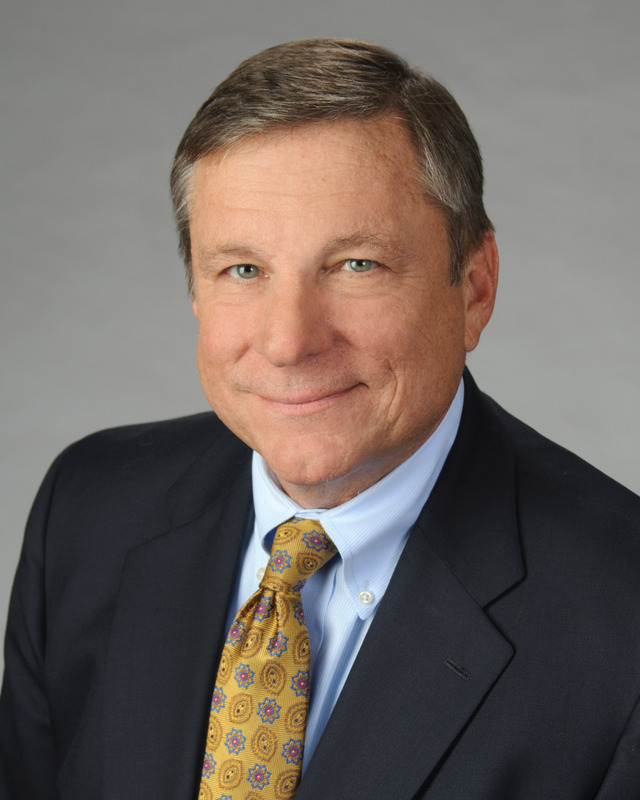 Raymond Moran, ASA, MRICS is CEO of MG Valuation LLC, and has 35 years’ experience with International valuation and accounting firms. 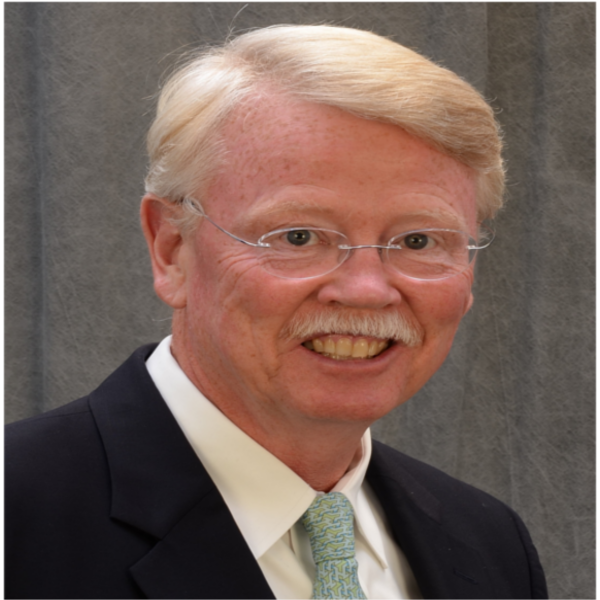 He serves on the Board of the International Institute of Business Valuers (“iiBV”), Chair of the IIBV Marketing Committee, past Member of ASA and RICS Valuation Committees, and frequent speaker and author on global valuation and accounting topics. 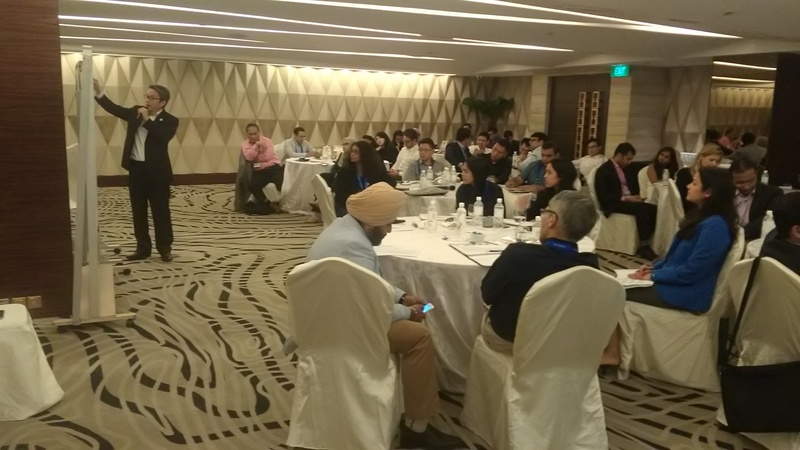 Ray has spent much of the past 15 years in Asia/Pacific, focusing on improving education and coordination amongst valuation professionals and VPO’s. He is a Senior Member of the American Society of Appraisers, Member of the Royal Institution of Chartered Surveyors, and has testified in United States Bankruptcy Court. Prior to his current position with MG Valuation, he was a Senior Vice President and Managing Director- Asia/Pacific with American Appraisal, and served with PricewaterhouseCoopers. Sr Elvin Fernandez, PPRISM, FRISM, FRICS Sr Elvin Fernandez is a Registered Valuer (V-170) and Estate Agent (E-82) and presently the Managing Director of the Khong & Jaafar Group Of Companies. He is an Independent Non-Executive Director of Sunway REIT, a Fellow of RICS, UK, the President of the Business Valuers Association Malaysia, an Exco Member of the Private Valuers Association (PEPS) and the Secretary General of the ASEAN Valuers Association. Sr Elvin is Life Fellow of the Institution of Valuers and Member of the Practising Valuers Association (India), the Institute of Philippine Real Estate Appraisers, the National Association of Romanian Valuers, the Indonesian Society of Appraisers and China Appraisal Society. He is a Past President of the Royal Institution of Surveyors Malaysia (RISM), PEPS and a Past Chairman of the International Valuation Standards Council. He also served as a Member/Exco Member of the Board of Valuers from 1993-2007. In appreciation of his invaluable contribution to the valuation profession, he was awarded “Property Consultant of the Year 2005” by the Board of Valuers, “Professional Excellence” Award in the “Engineering, Construction & Property” Category on 20 May 2011 by the Malaysian Professional Centre, “Valuer of the Year 2013” Award on 10 January 2014 by the Valuation Division of RISM, Honorary Membership of the International Association of Consultants, Valuators and Analysts (IACVA) on 12 December 2015 by IACVA, “Million Dollar Roof Top” Award on 1 October 2016 by the Malaysian Institute of Estate Agents and the RISM Excellence Award 2017 “Malaysian Surveyor of the Year by RISM on 20 May 2017.